Special guardianship orders (SGOs) were introduced in 2002 to provide a framework for permanent care where adoption was not appropriate where children were being cared for within their wider family, as Ellie was, also for older children who have enduring relationships with parents who cannot care for them. Approximately 7,000 SGOs are made each year, around 5,000 in child protection proceedings and 2,000 for children who are not in state care. Special Guardianship differs from other orders for children’s living arrangements reflecting the permanence of the arrangement. 1) Parents cannot apply for the order to be discharged without first obtaining the court’s permission to make this application on the basis that there has been a change of circumstances. 2) Special guardians are entitled to exercise parental responsibility to the exclusion of the parents. Special guardianship arrangements do break down; Selwyn found that around 6% failed within 5 years of the placement but they are intended to last for the whole of childhood. Indeed changes have recently been made to assessments to ensure special guardians can provide this care. There can be no question that Ellie’s parents could get permission to apply to have the special guardianship order revoked once the father was ‘exonerated’ by Mrs Justice Hogg. Yet the decision to revoke the order is extraordinary. The Children Act 1989, s.1 requires judges making decisions about children’s upbringing to give paramount consideration to the child’s welfare. Decisions are not based parents’ rights. The courts have repeatedly stated that there is no presumption in favour of parental care. Welfare is a vague concept but there is wide agreement about key factors for children’s well-being. Since John Bowlby’s work in the 1950s, children’s relationships with their carers are known to be crucial. This is reflected in law and practice; courts almost never disrupt arrangements where children are thriving. Why was Ellie removed and placed with her parents? 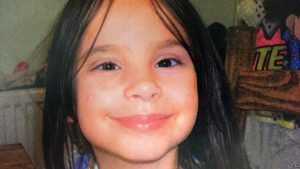 The Serious Case Review into Ellie’s death identified many factors but did not hear commentary from the judges involved. The published judgments do not explain why returning Ellie was in her best interests. The Hogg J’s first judgment ( EWHC 2604) focused on medical evidence about Ellie’s collapse and evidence about her sibling’s care. It set in train a process for that child’s return. The only decision relating to Ellie was for contact with the parents once a month. The second judgment in October ( EWHC 2763) provides no explanation of how the judge applied the welfare test. It simply records the grand-parents’ agreement to Ellie’s return. They were not parties to the proceedings and were not represented. An agreement between adults does not absolve the court from its duty to make a decision in the child’s best interests. Ellie’s children’s guardian, whose role is to represent Ellie’s welfare in the proceedings and instruct her lawyers had been on sick leave since July; Ellie’s legal representatives cannot have had adequate instructions so as to represent her welfare interests. They could have been expected to secure a clear explanation from the judge about why it was in Ellie’s welfare to leave the home where she was thriving. Within less than a month, with only the most perfunctory process of re-introduction, Ellie was placed with her parents. There are echoes of the case of Maria Colwell whose death, in 1973, was a cause celebre in child protection and led to the development of the child protection system. Maria was killed by her step-father after magistrates granted her mother’s application to revoke a care order. The local authority had not opposed this because they assumed the court would favour the mother rather than allow Maria to stay with her aunt and uncle. Maria, like Ellie, was invisible to the court. As a consequence, when the system for providing children’s guardians was established priority was given to representation for children where discharge of care orders was unopposed. All children in care proceedings now have children’s guardians. Making decisions in the courts is costly in time and resources. In Ellie’s case these resources were spent almost exclusively on what had happened in the past, not on Ellie’s future. Whilst it took a year to hold a hearing and many hours or profession time to re-consider past facts, what this meant for Ellie was largely ignored. Ellie’s welfare was inadequately considered, there was no justice for her. Parents’ rights eclipsed child welfare; relatedness trumped relationships.